How's life? I've been a bit busy this week. I can't believe it is already almost Friday!! This week really went by fast and next week is Thanksgiving!! Pretty soon it will be Christmas. This year will be over before we know it. 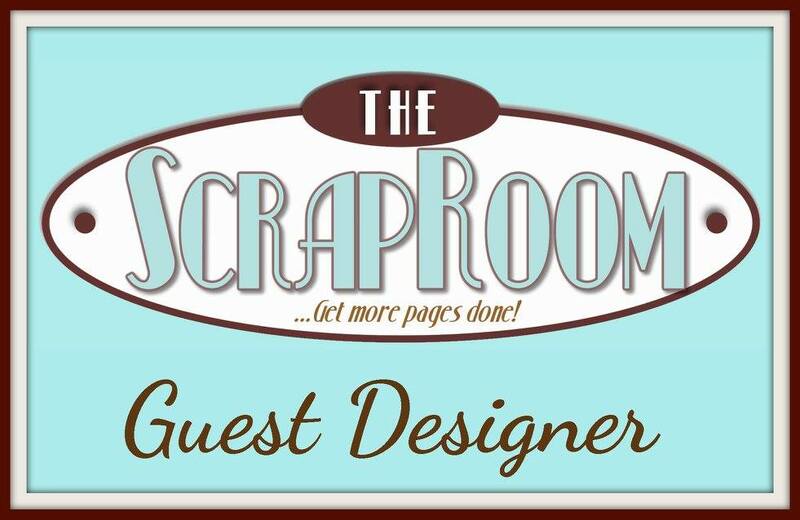 I am happy to announce that I made it back on the Crafter's Companion Design Team!! I'm really super happy about this because I love them! I'm going to miss the outgoing design team members. But it will be fun to work with the new ones too. 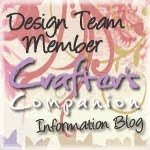 There will be some new and exciting things going on over at Crafter's Companion in the new year. If you don't already follow them you should go check them out. I do have a layout to share with you. 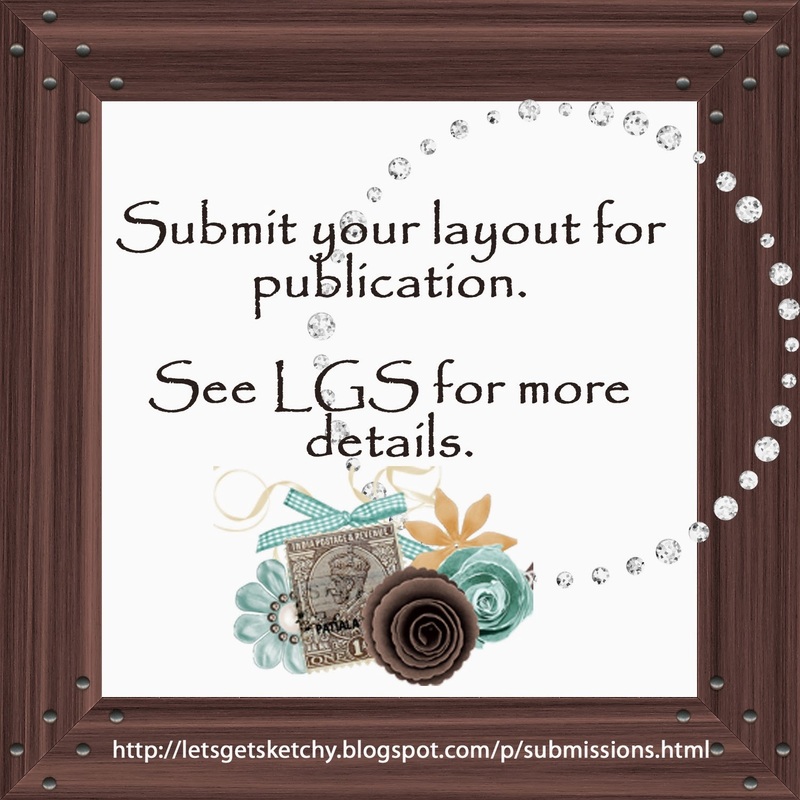 I made this layout for Fia's November Get Sketchy Challenge at Sketches4all. She offered a sketch for us to use and the requirement was to use the them "Christmas". I like how it turned out and it was great to do a project just for fun. I used some Holly Jolly Christmas paper from Echo Park. I actually received it as a gift from Fia and her sister, Jose so it was kind of cool to use it on her challenge. Don't forget tomorrow is the last day to enter my blog candy giveaway to win the 12 Days of Christmas Craft tutorial e-book. So hurry up and get your name in the the hat to win this fab book. Well, I am going to end here and take the kids out to eat some yummy Mexican food. Thanks for stopping by today! How was your weekend?? Do anything fun?? I had a great time this weekend. Friday we celebrated my son's 6th birthday (he's the one in green in the photos). We went to Chuck E Cheese's and all the kid had a great time. Unfortunately they can not all look at the camera and smile at the same time so this is the best group shot I got. I love the next photo of the birthday boy with his older brother. His older brother told him to, "smile hard". So he did! I think he looks hilarious. Saturday we mostly just played around the house. I did some scrapping and made this Thankful card. I actually combined three challenges. Mojo Monday's sketch challenge #214, Frosted Design for embossing and Fussy and Fancy's Combine "be thankful" with a featured sentiment. I'm cutting it close on time for one of them (not sure which one at this moment) so this post will be a bit short as I rush to try to make the deadline. I used mostly Imaginisce paper and embellies. I used some Stickles and ribbon from my stash. I embossed leaves using an embossing plate from Crafter's Companion. Simple and clean. I entered Cheryl's Christmas Challenge #4 at Sketches4all. She has a sketch challenge going on right now. I just love her sketches. They are just so versatile. You should go join in the challenge too! We ended last night with a movie night. We popped popcorn and watched Cars 2. It was great! The bluray version is just gorgeous!! Now for a sleepy Sunday. So far the morning has consisted of sleeping in, eating a breakfast made by my mother in law, drinking coffee and reading the paper and now sitting down in my office to blog and then scrap!! Life is good. Don't forget to enter my giveaway for the the awesome 12 Days of Christmas E-Book. And remember that the Sketches4all blog hop is still going on and you get your name in the hat for a RAK that I am giving away just by commenting! Happy Sunday!! Nikki Sivils has generously sponsored this event by giving The Gingerbread Land Collection to our Design Team who have created cards that we will be donating to the children who are receiving treatment for various cancers at St. Jude Children's Cancer Research Hospital. We are are so happy to be able to try to add some Christmas joy and smiles to these children at St. Jude Children's Research Hospital! 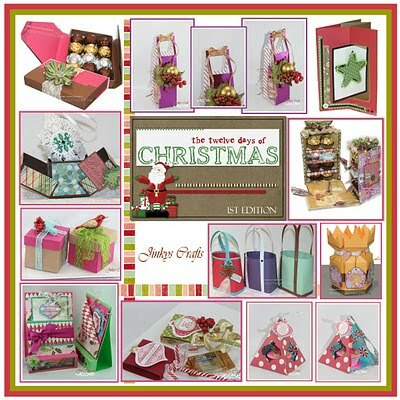 Please come along on our blog hop and enjoy the Design Team inspiration of the cards we will be donating to SJCCH!! 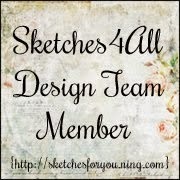 Please leave a comment on each Design Team member's blog. If you do, your name will be entered in the drawing for the Nikki Sivils - You're A Hoot 12 x12 paper kit!! This is such an awesome prize!!!! Here is the list of blogs on the Blog Hop in order. If you started at Fia's Blog and have been going in order than your next stop is Jessica's blog. If not, you might want to go back to Fia's Blog to make sure you hit them all. 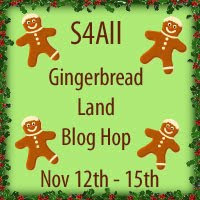 This Blog Hop starts today Saturday, November 12th and ends on Tuesday, November 15th. I will be giving away a RAK to a randomly drawn person who comments on my blog. So be sure to leave me a little bloggy love! I will announce the winner of my prize on Wednesday, November 16th. You will need to stop back by my blog and see if you have won. It is your responsibility to email me your name and mailing address to Scrapwithstacy at gmail dot com by Wednesday, November 23rd otherwise you will forfeit your prize. I really had so much fun working with all the fabulous bits and pieces in my Gingerbread Land kit! As soon as I saw it I knew I would be making a card with that adorable gingerbread house on it. I'm currently obsessed with Pulley Slider Cards so thought this would be a fun card to make for a kid. I went a little crazy with the glitter and Stickles but what can I say??!! lol If you are interested in learning how to make a Pulley Slider Card you can go check out the tutorial I put together over at Sketches4all. I hope you enjoyed both of my cards and I sure hope they are welcomed at St. Judes. Thanks for hopping by my blog and checking out my projects. Now hop on over to Jessica's blog. Have fun!! 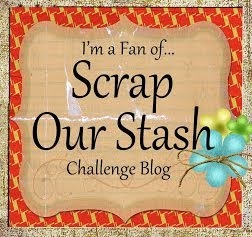 Jinky from Jinky's Crafts is sponsoring a 12 Days of Christmas Blog candy this week here on my blog. She just released her 2nd Edition of 12 Days of Christmas Handmade Crafts Tutorial E-Book 2 days ago. The E-Book is chock full of great holiday projects. Jinky is one of the most creative crafters I know and you are going to want to own this E-Book!! Here are the three awesome prizes she is offering for me to giveaway to one of my lucky followers!!! 2. Do a post on your blog or put a link on your sidebar of a picture of one of the Jinky's Crafts giveaway on your blog or facebook page and link it back to Jinky's Crafts 12 Days of Christmas E-Book. 3. Leave a comment on Facebook on the Jinky's Crafts 12 Days of Christmas E-Book page . Just tell what your favorite among the 12 projects is. After you leave your comment, click on the project photo above and check out the awesomeness!! My friend, Mike is a "chef level" cook and made us my favorite dinner of Asparagus Risotto and Pork Arista for dinner on Friday. OMgosh it is really just to die for!! The risotto was creamy and delicious and the pork was moist with just the perfect amount of spice and garlic. YUM! We spent the night visiting and sharing wine. The next morning my friend woke us up with the smell of bacon that was just a part of our delicious breakfast and finally he made us some gourmet sandwiches for lunch which we took to one of the wineries and ate as a picnic. I've been busy this week getting ready for my son's birthday on 11/11/11. He will not be 11...lol He is turning 6. We are having a Transformer themed party for him and a trip to Chuck E Cheese's is in store also. He super excited and today they are having a cupcake party for him in his class at school since he doesn't have school on Friday (or tomorrow). I've also been busy working on some cards for the Sketches4all Gingerbread Land Blog Hop on Saturday the 12th ending on November 15th. I just finished up one card that I think is so stinking cute even if I do say so myself!! Please be sure to stop by on Saturday and leave me a comment. I am giving away a prize to a randomly drawn name from those who comment. 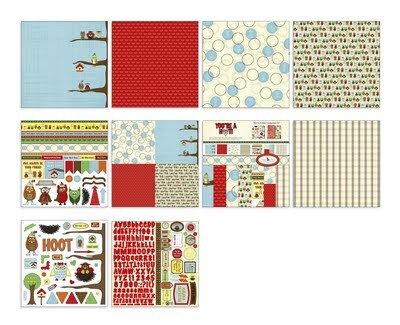 And if you comment on all the blogs in the blog hop you are entered to win a wonderful paper kit from Nikki Sivils. And that kit is gorgeous! 3-comment here on the Blog Candy Giveaway Post. It is that easy! I have a copy of this great e-book and it is awesome. I know you would love all of Jinky's easy to follow super creative projects. So now is the time to get signed up because the giveaway ends on Friday, November 18th. Sketches4all Blog Hop is Coming Soon! 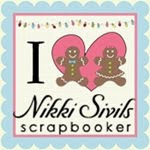 Please come and join us at Sketches4all for our upcoming Gingerbread Land Blog Hop sponsored by Nikkis Sivils! 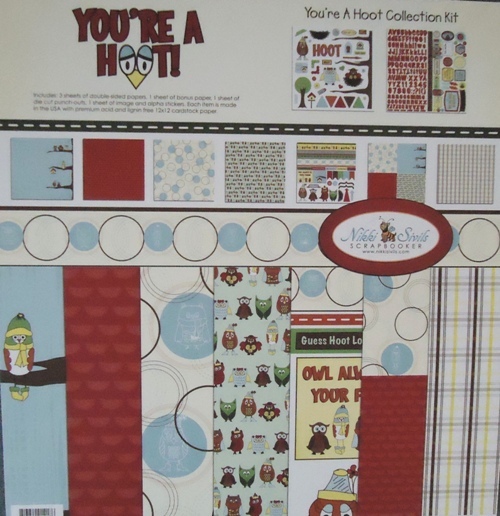 Nikki Sivils is generously donating a 12x12 You're a Hoot paper kit to the winner!! The Sketches4all Design Team will be creating cards with the Gingerbread Land by Nikki Sivils Collection for the St. Jude Children's Cancer Research Hospital! 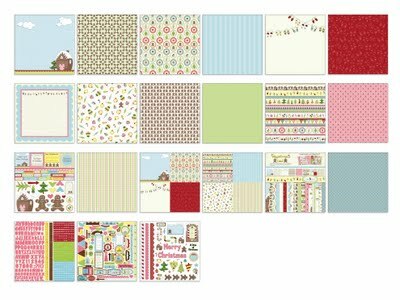 We invite you to hop along November 12th to the 15th to see all the fabulous cards that the Design Team will be sharing on their blogs! I sure hope you can join us for this fun event!! And a special thank you to Nikki Sivils for sponsoring us!! These Paint Fusion Sets from Sheena are so versatile you can paint the stamped images or color with your markers or pencils. You can use them on cards, layouts or altered items. Your only limit is your imagination. And they are so easy to paint too. To make my 1st project I got out my acrylic paints and I really only used 4 colors, green, cream, red and brown. I stamped out the images on paper and then painted the holly leaves. I added the berries with a little red paint on the tip of my pencil eraser and then highlighted them with a little white paint. After the paint dried, I fussy cut them out and I used them to decorate this basket that I will have sitting out next to my fireplace this Christmas. The pine cones are from my yard and I added a little cinnamon oil to them. It makes them have such a great scent! Preheat oven to 350 degrees. Combine flour, baking soda, salt, spices and sugar. Add oil, eggs, pumpkin and water, beating until well blended. Stir in pecans. Pour batter into 2 lightly greased 9x5x3 pans. Bake for one hour or until a toothpick inserted in center of loaf comes out clean. Remove from pans and cool on wire racks. Wrap in plastic wrap and insert into your Sheena Douglas Paint Fusion Holly decorated baskets!! Since I had already done like I suggested above and painted out several bits of holly I decided to make a fun Pulley Slider Card. I found the directions on how to make this style of card on the Crafter's Companion Ultimate Pro Christmas DVD. 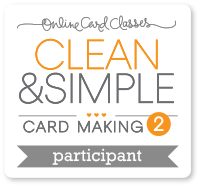 But I did type up a tutorial on how to make this card without using the Ultimate Tool. You can find the tutorial here. Anyway, I received a bundle of Holiday papers and embellies free with a magazine I purchased last fall. They just happened to be from Crafter's Companion. I had only used a few of them last year so I pulled them out and found this cool vintage looking decoupage Santa. I attached the bits to card stock and then fussy cut them out. 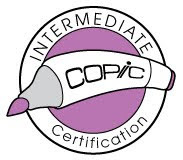 Next I layered them using pop dots between the layers for dimension. I cut up some of my painted holly to add to the inside slider bits. Of course I inked the edges of pretty much everything and added a bit of sparkle with some bling and Stickles. I color matched my clear bling by coloring it with a Copic Marker (still loving that I can do this!!). I added a little bit of ribbon from my stash and voila the card was finished!! I used this as my DT example for the November Holiday Challenge at Crafter's Companion Challenge Blog. There is an awesome prize this month so you will probably want to go see what you can come up with so you can enter. You only need to use a Crafter's Companion Stamp and the Holiday theme. I actually just finished up a second Pulley Slider Card and used some more of my painted holly. Since I haven't photographed it yet I will wait to share it until next time. I went to my older daughter's school this morning. Her 4th grade class put on a play about how Nevada became a state. She was "Shotgun Stagecoach Driver". She had one whole line but she rocked it and I was proud. They really did a great job. I hope you are having a wonderful week. Can you believe it is already Thursday??!! This week has just zipped by so fast. Do you feel like this year is rushing by?? Enjoy the rest of your week. Thanks for stopping by and checking out my stuff.